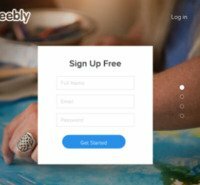 You’ve created the perfect website and now you are ready to show it to the world. The last step in that process is to publish the site from your desktop to the Web. For that, you will need a server that supports FTP (File Transfer Protocol). In a world where computer lingo can be confusing at best, FTP is refreshingly straightforward to understand. It is the process by which your files (i.e. 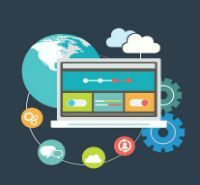 your newly created Web page) are transferred between computers and servers via hosting providers. Unless you are a master at Web design, you are probably going to use a website builder with FTP to help you create your online project. An FTP website builder ensures that the channels required for uploading your documents, images, and multimedia files are incorporated into the construction of the site. While this task can be accomplished through the control panel with file managers such as Plesk, cPanel, and the like, for the past three decades, FTP has been the go-to method to get your files onto your site. You might also see it named SFTP. That means that SSH (Secure Shell Hosting) is being used to protect the data during transfer. Depending on your tech savviness and operating system, popular FTP client programs include FileZilla (for ease of use), Dreamweaver (for enhanced control), and CyberDuck (for Mac users). If you are ready to roll up your sleeves and create a website for the first time, you probably will want to look into using website builders with FTP. That way, making your Web page visible on the Internet should be no trouble at all. When the time comes to push your webpage online, your builder will use the FTP client login and password to open the conduit from the FTP URL address to your website’s URL address. Once open, the files can then be uploaded. 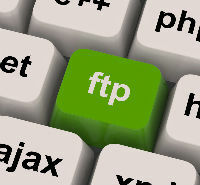 FTP clients allow you to transfer your files in a number of different formats. You can move your data in ASCII, binary, or auto mode; and, some of the more intuitive clients let you upload by dropping and dragging from your computer to the server. You might see some Web hosting and site builders offering free website builder FTP as a part of a package. Don’t be fooled, though. FTP should always be free. You should have no trouble finding a free website builder with FTP upload capabilities. Be careful, though. Free means you don’t have to pay any money; it doesn’t mean that there are no hidden, non-monetary costs such as the host placing ads on your site, security concerns associated with shared hosting, and third-party data mining your visitors information for marketing purposes. Shop around. Because FTP website builders should be included with your plan, make sure that you are looking for other features and tools that will benefit you and your project. Whether you use a free service or are paying a monthly fee, go with the option that works best for what you are trying to do. Don’t pay extra for stuff you don’t need and don’t cut costs at the expense of a valuable Web building tool. An example of a website builder with FTP access is GoDaddy. Even if you have a Web builder that does not have FTP, you can still benefit from its versatility and ease of use by integrate it into your current control panel. You can incorporate an FTP account to cPanel and Plesk control mechanisms so that you can add, edit, and delete files with ease. As you can clearly see, FTP is not a glamorous process. It is a workhorse that performs unthankful tasks behind the scenes. FTP doesn’t directly make your Web page look or perform any better or faster. 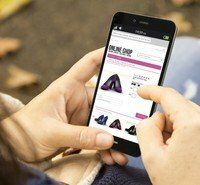 What it does is allow computers and servers—really any components of a network—to communicate more effectively. If the result of that grunt work is a better-looking, better-performing website, then the boring back-end business will be worth it.